We all have the duty to exercise “reasonable care” to avoid harming others. If you have been hurt by another person’s carelessness or act of negligence, you deserve to have your medical expenses covered, and to be fully compensated for any losses you have suffered because of the injury. Under Virginia’s legal system, you have the right to file a personal injury claim to recover compensation for all damages – both economic and non-economic. Why file a personal injury claim? Medical treatment for serious injuries can be expensive. You may have to miss work while you are recovering from your injuries, making you unable to earn the wages you need to survive and support your family. Some injuries cause permanent disability, meaning you may not be able to continue in your current profession after a serious accident. Although it can’t take away the pain and suffering, filing a personal injury claim holds the right people responsible. The person or company that caused your injuries should compensate you for the losses you have suffered. Compensation for your medical expenses, lost wages, and pain and suffering is possible. 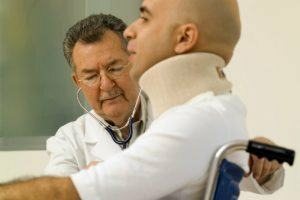 How can I get compensation for a personal injury? Tell you if you have a case. Investigate your accident or injury fully. Build a strong case based on the evidence. Fight for your rights in court if necessary. It is important to act quickly, so evidence in your case can be collected and preserved. Also, the law imposes a time limit for filing a lawsuit, known as a statute of limitations. You have a certain amount of time in which to file, and once that time has expired, you cannot file a claim. Our personal injury attorneys at GibsonSingleton Virginia Injury Attorneys can negotiate on your behalf for a fair out-of-court settlement. If the other side refuses to make a reasonable offer, we are not afraid to go to trial and fight aggressively for the compensation you deserve. Our goal is to obtain the highest dollar amount to help with your recovery. We have the expertise to help you, and we genuinely care about every client. Contact us or call us at (804) 413-6777 or toll-free (855) 781-6777 for a free consultation. If you’ve been seriously injured in an accident, you can trust our dedicated Virginia personal injury attorneys to get you the money and benefits you deserve. To learn more about what types of damages you may be eligible for in Virginia, call GibsonSingleton Virginia Injury Attorneys at (804) 413-6777 to let us help you. How long do I have to file a claim after an accident in Virginia? Typically, you have to file a lawsuit in the court of the county where the wreck happened within two years of the wreck. You can file a claim with your insurance company right away. And once you have completed your medical treatment, you can file a claim with the at-fault driver. If you have questions or concerns, call GibsonSingleton Virginia Injury Attorneys today for a free consultation. At Our Law Firm, You’re Our Neighbor, Not A Number. Big City Experience. Small Town Care. What Money Can Be Awarded in a Personal Injury Case?